I’ve created six websites for the many facets of the work of Rita Roberts. 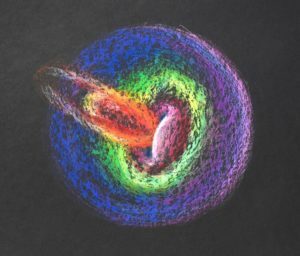 More recently, her work has turned to more spiritual pursuits, and even a collaboration project called “Cosmic Fixer” which bridges her art-making and meditation-quiet with my work as a Spiritual Director. Gallery-based websites to show her work in a simple and authentic way. The art is prominent – not the “desired response” to the art. Developing her newest Cosmic Soul Circle website, featuring images of her latest work, a WooCommerce store, and integration with a Print-on-demand service for ordering, production, and shipping of prints of her work. Collaboration in new conceptual framework for coaches, therapists, and healers through our combined work on CosmicFixer.com. Few projects, clients, and co-creative relationships stand out more than my work with Jill Loftis. 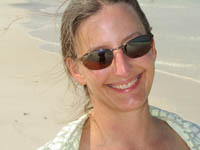 Jill is the owner of Uttara Yoga Studio in Roanoke, VA. Her studio offers a wide variety of courses, classes, workshops, and service to the community. Jill simply points me in a direction, then gives me full reign to create. This aspect of our work together has no doubt enhanced our own notions of “trust” when consulting with others. She is free to curate the yoga studio of her dreams, allowing me to design intuitively and fully. My Spirit Community is an interfaith/interspiritual community of people who respect and embrace a variety of religious and spiritual traditions. Each spiritual journey is a mix of received tradition, mystical insight, and life experience. 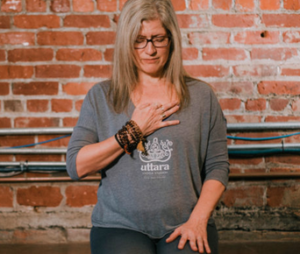 We provide direction and encouragement to seekers who are ready to draw upon these three elements to forge their own unique, conscious, and authentic connection to the Divine. The goal is for each of us to step into the spiritual authority that is our birthright, and place the light of Spirit in service to the world. Gracia and T are amazing “Spiritual Love Workers” in my opinion. I’ve been so privileged to learn from them through their work in the world. Gracia is a Swami who serves people who consider themselves spiritual and not religious through spiritual and astrological counseling and ritual creation for weddings, home and office blessings, memorial services, baby blessings, or any significant life transition. and I’ve also had the privilege of attending her Somatic Yoga classes locally through her additional work as a Yoga Therapist. 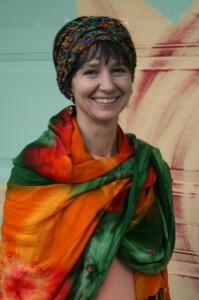 Leigh Ann wears various hats in her business; singer, songwriter, recording artist, sound healer, director of a non-profit organization, and now designer of her own line of quartz crystal singing bowls for musicians and sound healers. In addition to needing a web designer, Leigh Ann needed a fast and creative taskmaster who can assist with all facets of her business. We’ve helped her grow from an indie musician to having her work distributed internationally in the New Age marketplace. She currently operates her business, Shimmering Sounds LLC, from Honolulu, HI. A comprehensive website for promoting music, selling crystal bowls and accessories, and the presentation of her sound healing practice – www.leighannphillips.com. Monthly e-newsletter creation, distribution, and maintenance of a 3,000 member email list. Management of relationships with music vendors and distributors (CDBaby, New Leaf Distribution, Phoenix Distribution, Spirit Voyage, and others). Project management for CD duplication and production (OasisCD and A to Z Media). Maintenance of online store with physical and digital products, individual session payments, and recorded coursework. Maintenance and web integration of her google calendar. Concert and performance promotion, poster creation, and social media advertising. Research for future product development and distribution outlets. Writing and editing of marketing plans and proposals for music distribution outlets. Social media management (Facebook, YouTube, Soundcloud, and others). Editing of digital audio course recordings and instructional videos. Management of vendor relationships for crystal bowl manufacturing and distribution. Cindy’s ambition is to fully utilize search engine optimization (SEO) to engage with her audience. She works with individuals looking for hypnosis sessions, recordings, education, podcasts, and niche-specific markets in all of Minnesota. I’ve assisted her in creating over 10 niche websites in the field of hypnosis, addressing topics such as self-hypnosis, hypnosis for sports, brainwave entrainment, and the training of hypnotherapists. Migration of multiple static HTML sites to WordPress, adding improved search engine optimization functionality to all sites. Ongoing wordpress and online best practices consulting. Migration of two e-commerce sites to WordPress (HypnosisFirst.com and others), adding affiliate marketing functions for both sites, migrating her from an online digital product hosting site to a website-integrated shopping cart solution. Creation of an online Press Kit. Migration of multiple domain names and hosting accounts to our preferred web hosting site, resulting in greater cost savings. Research for appearances on online radio and podcast shows. Genevieve Munoz is all about being heart-centered in her business. 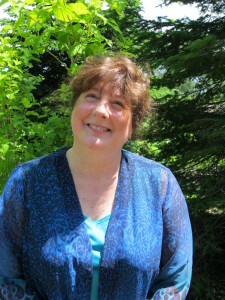 As a non-denominational wedding officiant and Life-Cycle Celebrant, she designs ceremonies for every occasion; weddings, birthing, baby naming, pet memorials, coming of age ceremonies, adoption, vows renewal, and often incorporates the use of labyrinths due to their symbolic nature in mirroring the cycles of life. Her passion is creating ceremonies with heart and soul. Creation of two websites: Labyrinth Ceremonies and MN North Shore Weddings each with enhanced search engine optimization and online directory listing submissions. Research and listing of celebrant services in multiple online wedding planning directories. Assistance with workshop proposals for conferences and retreats, including a workshop entitled “Creating Celebrations and Ceremonies on the Labyrinth” for the annual Labyrinth Society conference. Writing and editing of client agreement forms and contracts. Creation and maintenance of gmail autoresponders for new and prospective clients. Creation and editing of workshop posters, handouts, brochures, and course materials. Maintaining products for sale through PayPal on Labyrinth Ceremonies site. Maintenance of online Couple’s Gallery of wedding clients. Business cards, brochures, and various other print marketing. 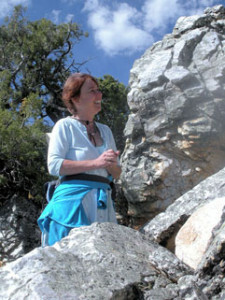 A native of Ireland, Áine Armour leads yearly sacred journeys to Celtic lands and other sacred places of historical and spiritual significance. 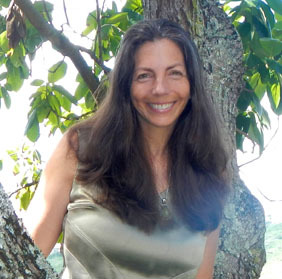 She conducts numerous tele-classes and workshops throughout the year, a bi-weekly Circle of Healing meditation series, and mentors students and healers. She has a very loyal following of clients, students, and spiritual healing enthusiasts. Migration of website, with over 60 pages of unique content, to WordPress. Ongoing website editing and maintenance. Management of e-store within WordPress with over 70 digital download recordings for sale. (I migrated her from an online digital product hosting site to a shopping cart solution integrated with her site, eliminating ongoing monthly fees and limits on the number of products she could sell at one time). Maintenance and editing of templates in for email marketing. Work with external vendors for production of CD course compilations. Edit conference call recordings and other audio courses for sales and archival purposes. 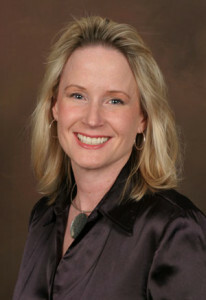 As co-owner of Energy for Life Connection with her husband Joseph, Stacey Quade combines her 25 years of experience in healing touch, herbal wellness, and structural integration of the body into a unique holistic health and wellness business in Duluth, Minnesota. She’s created dozens of herbal products which are advertised on her website. She also sells at various retail outlets and events in the Great Lakes area of Minnesota and Wisconsin. Creation and maintenance of WordPress site – www.EnergyForLifeConnection.com. Edit and add herbal products for purchase with online and printed forms. Maintenance and edits for all online downloadable forms and resources. Posts of iContact monthly newsletter to a blog page on her website. Add events and workshops to an ongoing online calendar of events.